I am so excited to be participating in a blog event, this will be my first when it comes to online events, and I think it's a really fantastic idea. There is a theme, and this time around it is United Nations (Contra Unus) and a telling of how where you come from influences you. What I like best about this event is that each person interprets the theme as they like. I have decided to do photo collages that I think sum up a lot about me. I encourage you to check out Full Time Fabulous to see all the other entries and to read the blog! Let me introduce myself for those who don't know me already. 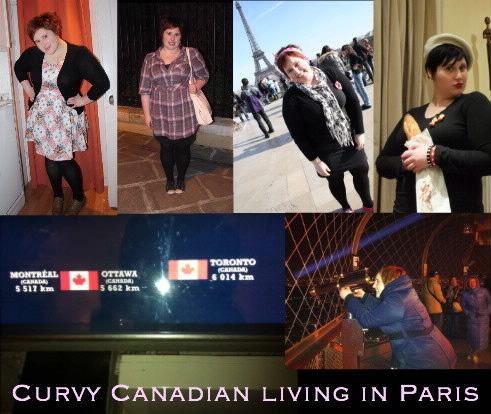 I am Canadian, from Toronto actually, living in Paris but soon moving to London. I have the travel bug, I can't stay put. While I am in Europe, I am like a sponge, trying to absorb all the culture and experiences that I can. Paris is know for "la mode" and I took that to heart, and am now more of a fashion addict than I was when I was back in Canada. I am Canadian at heart, sporting my stereotypical plaid shirts on a weekly basis, saying sorry to everyone, often for things I haven't done, and I am proud to say that I speak both national languages, English and French. The more I am away from home, the more I learn to appreciate it and to be thankful for all the wonderful things I have there. A silly Facebook application told me that I have visited somewhere upwards of 9% of the globe, and I am looking to send that number into the double digits, and maybe one day hit 100%. For now I go where I can, when I can. I truly believe that who you are and how you are is the product of what you have experienced. I like to think that we can all be humbled by something no matter how we grew up or what privileges we have been given. As a Canadian, I feel privileged to have an open door to almost anywhere in the world and am often welcomed with open arms. My dad has spent my entire life traveling back and forth from Asia, mostly China and Taiwan, and I think his tales of abroad are what shaped and developed my enormous curiosity for the world away. From my travels, I have always been able to find a common thing with someone I have met on the road, proving to me that we truly are all the same in some way and that our experiences shape us and mold us into who we are. I would like to say a big thanks to Full Time Fabulous for creating this event! This post was really fun to create and I look forward to doing the next one! Hi sweetheart, your post made me smile! Thank you so much for sharing, I love getting to know you better. Hugs! Katie you've been to some wonderful places. my hubby is dying to take us to hong kong! lovely images for the FTF event! I second that you have been to some amazing places! I am absolutely beyond jealous...I *love* to travel. What a lovely post: nice and sweet just like you. I could read a little more about Canada. Is one of the countries on my travel list. Hélas, the list keeps getting longer and longer. I've been to the great wall too and i felt awestruck just being up there. If you ask me if i prefer to travel or have an expensive Chanel bag, I'll pick travel for sure. In cases like these, experience although intangible is worth more than having to hold and cuddle the expensive bag! 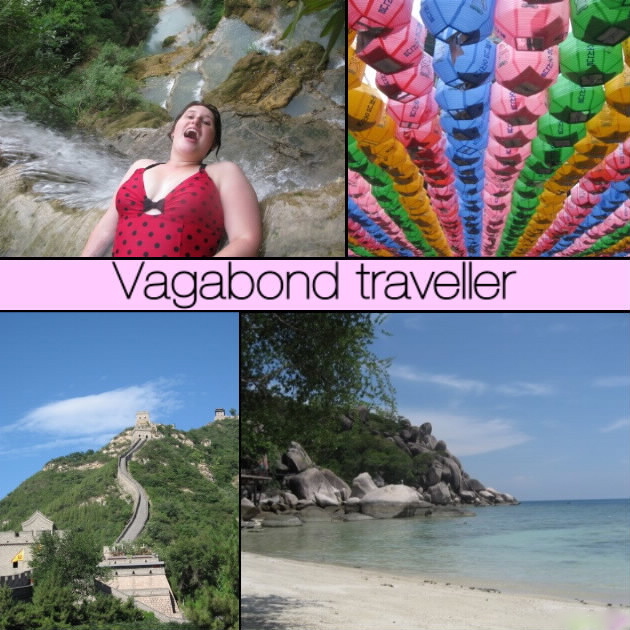 I can definitely relate to your "travel bug" and am insanely jealous of some of the places you have visited! I would love to see the Great Wall one day, and a secluded beach in Thailand sounds especially appealing right now! This was a beautiful representation of who you are. I am so glad that events like this introduce us to people we may have never come across otherwise! wow!!! wonderful post!!!! i love that you're a travel bug, i am the same way!! your photo collages are wonderful and i love learning more about you and your life.